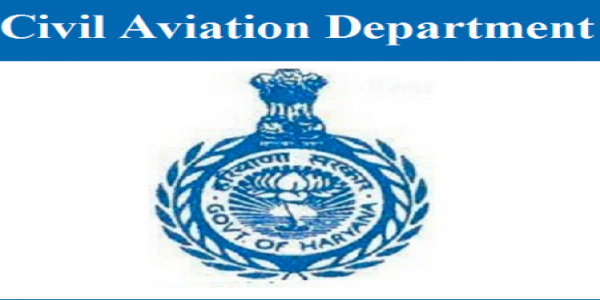 CAD Haryana Notification 2018.Civil Aviation Department Haryana has released a notification for the recruitment of Consultant and Senior Consultant vacancies.Check the eligiblity and notification prior to apply for the positions. a. Consultant (Planning) - likely to be based at Delhi. should have extensive experience in Air Transport. Air Safety. Aerodrome Standards. Training and Licensing hip operation standards and Arspace & Air Navigation Services Sta dards. regulatory requirements for the design, development, operations and maintenance of airports. b. Consultant (APO): ) likely to be based at Hisar. should have extensive experience in airport management operations, sec rity. customer care and technical matters pertaining to the operations. Eligibility: Senior Consultant should have extensive experience in ai operations and development as well s execution of busbess models in the Civil Aviation Sector. The Consultant should be available to the Department at least 120 hour s a month. 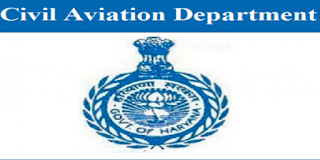 These resources will be required to transact with DGCA, MI and other entities for technical matters pertaining to the operations of the proposed project (Integrated Aviation Hub at Hisar) and preparation of DM as well as bidding for the PPP Project. Candidates may send their applicaitons alongwith documents and experience with latest photograph within 15 days from the date of pubication of this advertisement on addressed to the Adviser, Civil Aviation Haryana, 30 Bays Building. 3rd Row, Sector 174. Chandigadt-160017.